We're happy to announce the release of EPlug 1.2.6. Again this small version bump does not only yield important bug fixes, but also new features which will make your life a lot easier. This release includes bug fixes along with new features. One of the most notable problems fixed was that compile time checks might not be run if the communication with VisionX was active. 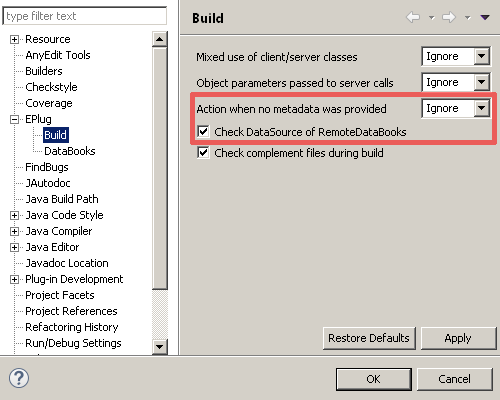 As you can see we've also added new actions to jump to the configuration files. We do support autocompletion and compile time checks for resources, like images. But we only supported resources inside of source folders, with this version we do now also support resources anywhere in the project. DataBook handling has been improved once more. There are now additional checks which make sure that a RemoteDataBook receives the correct DataSource and there for if the MetaData can reliably be determined. Additionally, the type of flag issued if no MetaData could be determined is now a configurable build option on the project. This would have been flagged as warning, because no MetaData could be determined for pDataBook. Now the check determines that determining MetaData for this DataBook is impossible and flags it accordingly. You can configure whether you want to see this flag or not in the project settings. // This will be flagged as error. // This will be flagged according to the settings. Last but not least, there is now a project setting which allows to set the username which is used by EPlug for the session it creates. A little background, to acquire the MetaData (and some other information about the application) EPlug creates a session of the application and executes the server side code. It could be that projects do have checks and manipulations on the username somewhere in their code on the server. 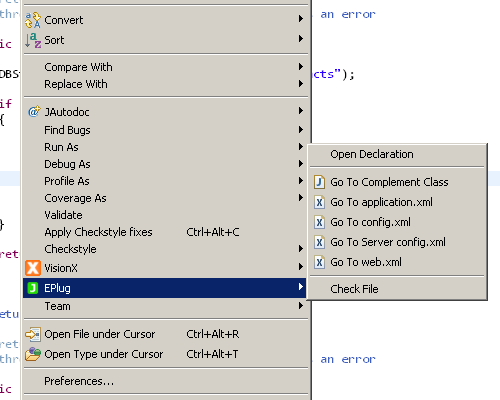 Previously EPlug would set null as username, but now it does either use the configured autologin username or the username configured in the project settings. That allows server side code which does operate on the username of the session to run without a problem, which means that there are no checks necessary if the session was initialized by EPlug or not.